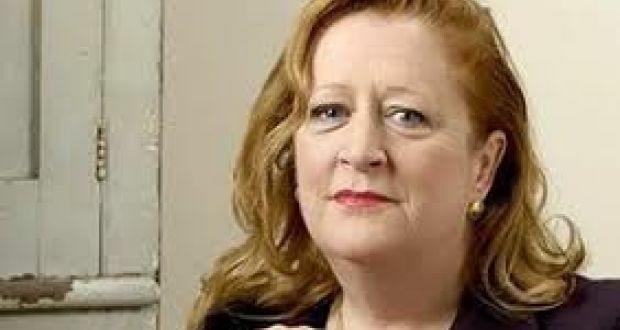 US-born businesswoman Margaret Heffernan is is not afraid to challenge the sacred cows of management practice. Yet she too has experienced the gender pay gap in her career and fully understands why women facing this problem “feel rage and resentment that eviscerates any joy in their work”. Heffernan encountered the gap when she was chief executive of US-based high-tech startup, iCast, which was part of a bigger conglomerate. She was the only female chief executive within the group and was completely floored when she discovered her salary was only half of what her male colleagues were being paid. “I loved my job, or I had loved it. Now all I could feel was rage at being undervalued and anger that this was known and tolerated,” she says. Heffernan held her fire as she pondered her next move. Eventually, a solution fell into her lap when she realised that, as a publicly listed company, her employers had to publish the salaries of its senior mangers – a number of whom were her peers. Armed with this explosive information Heffernan let rip in a lengthy email to the company chairman. However, she didn’t actually send it. Instead she reduced it to “a single bleak sentence expressing my shock and disappointment.” Her salary was doubled the next day. Heffernan, now an international writer, speaker and lecturer on business topics, advises women caught in the gender pay gap to start addressing the issue by first assembling the facts. “As much as possible, you need to build an open and shut case. For me, it was relatively straightforward. There was no arguing with the facts but I know that getting the relevant information can be tricky,” she says. “What I have seen over the last while is that both men and women appear to be more open about their pay information so maybe try and start the dialogue in your organisation. If you can’t do that, draw up a list of what you do versus what your male colleague does and, if you do more, build that into your argument while also collecting hard information about how you saved the company this amount of money or made the company that amount or were responsible for X amount of growth. Then start negotiations for a pay rise. Alan Hickey, head of services at employment law and HR consultancy, Peninsula Ireland, says a lot of confusion tends to arise around the gender pay gap as “it is often mistakenly believed that the existence of a gender pay gap is evidence of an equal pay issue”. “In fact, very few claims are taken in Ireland in respect of equal pay issues which suggests that the gender pay gap is the result of more nuanced and complex social issues such as the role of men and women in the home, the number of women in part-time employment, childcare costs, differences in age (the pay gap is far wider among those over 40), the motherhood pay gap and the glass ceiling. “A central problem with the gender pay gap is how it is calculated or how data is presented,” Hickey adds. “Most studies utilise an unadjusted pay gap figure where they simply take the mean gross annual earnings of men and women and compare. “The problem with an unadjusted figure is that it does little to explain why that gap exists as it doesn’t take into account all of the contributing factors such as differences in education, labour market experience, hours worked and so on. Heffernan says organisations ignore the gender pay gap at their peril. Hickey says that, at one level, it is a relatively easy problem to solve. “It’s pretty straightforward to carry out a salary review of what everyone is earning and make the gender comparison,” he says. “It is more difficult as an individual when you don’t know what the other person is earning.